As making money online is becoming popular, people are inclining towards different methods of earning money with their blogs and websites. However the desired results are not gifted to everybody steeping into this business. Earning online is simply not as comprehensive as it apparently seems to be. You may hear about your friends making money out of their blogs and others earning a living out of it, but you never hear about the kind of hard work they have put in to reach that level. What matters more are the techniques and guidelines to follow which gain you a significant amount of traffic for your website, as it is one of the biggest challenges faced by business today. You need to stay acquainted with the constant changes in the search engine algorithm, competition and some good SEO tips to counter this challenge. 7 New Ways to Make Money With Video Blogging? 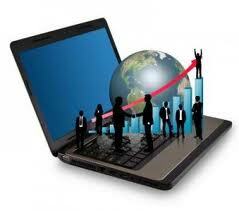 Today I will try my best to provide you with some good and practical ways to improve website traffic. Add a self hosted blog, like WordPress blog, to your website and keep posting regularly without any laziness interrupting your frequent posts. As many blogs allow guest posts, you should keep writing a few from time to time for different blogs. Usually this guest post will carry an author byline with a link to your website. Many readers might find them re-directed to your website following your guest post. You should study the market and on the topics that are similar to your blog's niche. Publish the research results on your website as it can attract many banklinks and referral traffic. Make sure your website content is appropriate and correctly optimized with right keywords. This will help your readers to easily find your website on the search engines. Try to use more optimized Mega tags, headings, bold texts , image description and other optimization techniques. Start a newsletter with the help of services FeedBurner or Aweber and ask your friends to recieve them via email. This way they will never forget about your website. Send your blog posts as emails to different subscribers. You do not need to send the entire post content in the email, just send the content title. This way they will remember your website and if the the title seems to be catchy or of their interest, you might gain some traffic. Once you have established a blog or website with enough content on it, you might look forward to create an eBook on the topics related to your niche. Promote this eBook on several sources and our own website too. Do not give the link to your website if marketing the eBook on any external website or blog. You can make custom t-shirts, hats, laptop covers with your website signatures over them and give out to people with or without any schemes. This will certainly make your website come to notice. 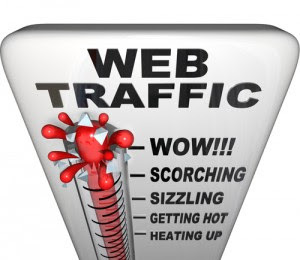 This is a fundamental step to take when in the process of gaining traffic for your website. You should share your website content on social media like Facebook page. Also regularly Tweet the link to your website on Twitter with daily posts/articles. There are numerous online tools that you can find which will help you post your website content on different social media and other websites automatically. Use Buffer to schedule your Social media postings at times that drive that most engagement. Make short videos about your website and post them on famous websites like the You Tube. Do comment on other blogs that have topics relevant to your niche and after making appreciation, provide them them the link to your website and invite them for a visit, nicely. You should try and out efforts to make a strong connection with any user or fan of your page on the social media. Getting them to share your blog page can earn you tons of traffic. If your advertising budget permits, consider Pay per click advertising using Google Adwords. Share website content on popular social book marking such as Digg.com and StumbleUpon.com. It is very helpful to use your website or blog URL in the email signature. This can earn you handsome figure of traffic as well if rightly used. Use free tools such as http://www.uptimerobot.com/ to monitor website’s uptime. Hosting downtime can lead to a reduction in traffic and negatively affects your search engine ranking. Keep yourself involved in the search for hot and most read topics. Use Google Keyword tool to identify popular key word being search, and write about them on your website covering different topics. Having a mobile version of the website is very important. If not so , you might lose significant amount of traffic yet again. Create pages on popular content sites such as Squidoo.com. Include your website link and and syndicate your blog using the RSS module available on these sites. Make XML site map of your site and submit on Google so next time when somebody navigate they can search it easily. Avoid cure technologies like java etc because they will make your website lazy. In case you think you can gain enough traffic by getting paid advertisements, without them you can market your website better. So do not waste money in that. Monitor Google Analytics regularly and refine your strategy continuously. Repeat this process regularly. Write about your website and contribute it to Wikipedia, it will help others to know about it more. Do not make your Home page look too complicated for the user to advance further, if so the case, they might opt on leaving your website right away. So keep it simple. Reuse content as much as possible on as many sources as feasible. This will increase your reach and provide addition back-linking opportunities. Create infographics and publish them on infographic galleries with a link to your website. Initiate QR code promotion to attract customers to your website e.g. by connecting it to a special offer. QR codes are becoming an increasingly popular way for businesses to drive traffic to their website. You can look for a sports team since they can can provide you with effective sponsorship opportunities. Write a review or article about your site and submit it to different article sites like MyezineArticles.com. Different kinds of mp3 downloadable contents might do the job. Any other interesting thing can work too. Contact your customers and ask them to share your website link to their website or social media profiles. If your content adds value, it should be easy for them to participate in this initiative. Gaining ample traffic for the website needs a lot and i mean A LOT of patience. So you need to be calm while your blog or website will gradually reach to the level of your goals, provided that you consistently make use of the techniques mentioned above. Banning of websites by Google!